Apple on Wednesday lowered the price of its BeatsX headphones from $149.95 to $119.95, simultaneously sacrificing multiple color options. The headphones are now available in just two colors from Apple, silver and black. Blue, gold, space gray, and even white have been eliminated, as has the black and red "Defiant" option. The reason for the changes is uncertain. The product may have had trouble competing at its previous price point, which was only about $10 cheaper than AirPods. Both accessories use Apple's W1 wireless chip, supporting easier pairing and steadier connections, but the AirPods are of course fully wireless, and offer additional perks like a charging case. 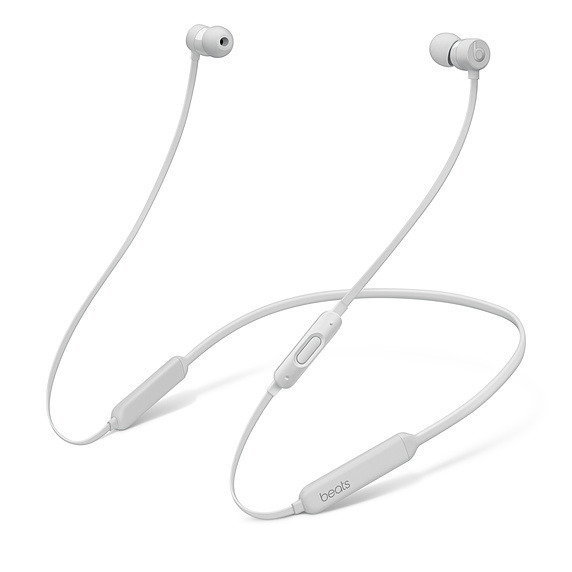 The main advantages of the BeatsX are an inline remote, and the ability to let them hang around the neck, thanks to cords as well as magnets that lock the earbuds together. Apple may also have realized that it's being undercut by third-party retailers. B&H, for example, is selling the BeatsX for $99, and Best Buy is even cheaper at $90.